Use the form below to send us a email. Here at A Fans Best Friend not only do we specialize in great pricing and fast service, we like to do business face to face with our customers making them feel safe and secure. Our goal is to make sure our customers become friends and feel like they were treated like VIPs! That's what A Fans Best Friend is all about! Give us a call at (724) 708-6777 or Contact Us by email. 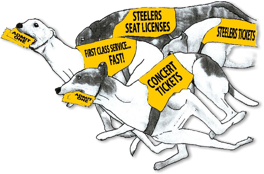 A Fan's Best Friend, Inc. is an independently owned and operated ticket broker/agent, engaged in the business of securing sold out, hard to find, premium tickets and seat licenses. Our prices reflect the costs of obtaining quality seating and hard to get tickets. We are not affiliated with any promotional office, box office ticketing system, or sports team. or both, looking for Concert Tickets, or whatever is on your mind. You must agree to this and all other agreements on this Web Site. Additionally, you must be 18 years of age and able to enter into a contractual agreement. A Fan's Best Friend, Inc. reserves the right, at its sole discretion, to prohibit any person for any reason from use of the site. You must provide true, accurate and verifiable information to A Fan's Best Friend, Inc., its agent and staff. You cannot use the site in any way that would involve the sale of counterfeit or stolen items. 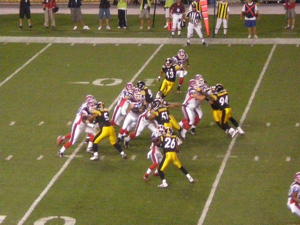 You shall indemnify, defend, and hold A Fan's Best Friend, Inc., Pittsburgh Steelers, LLC, and their owners, affiliates, officers, directors, attorneys, agents and employees, harmless from any and all damages and expenses, including reasonable attorney's fees, relating: (1) to any claim by any third party relating Your use of the Website or (2) to any taxes of any kind, including, without limitation, sales, income and ad valorem taxes due for any purchase or sale of a Seat License relating to this Agreement. A Fan's Best Friend, Inc. makes no warranty with respect to any seat licenses, the website, or any services relating to the website. A Fan's Best Friend, Inc. makes no warranty that seller or buyer will perform as promised. A Fan's Best Friend, Inc. expressly excludes and disclaims all warranties, express or implied, including any warranties of merchantability, fitness for a particular purpose, title, and non-infringement of third party rights. 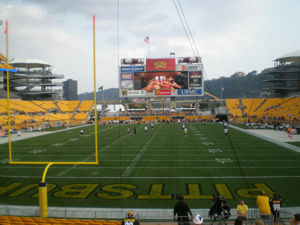 A Fan's Best Friend, Inc. shall not be liable for any lost profits or special, consequential, incidental, indirect, special, or exemplary damages relating to any Seat Licenses, the sale of any Seat Licenses, the failed sale of any Seat Licenses, the Website or any services relating to the Website. A Fan's Best Friend, Inc. may modify this Agreement by posting the modified Agreement on the Website. The modified Agreement shall be effective when posted on the Website for any transactions begun after the posting. Fees, costs, and commissions are determined on a case-to-case basis. All fees, costs, and/or commissions will be fully disclosed and agreed to, prior to any postings of any listing, and may vary from listing-to-listing for the buyer. Any and all costs, fees, and commissions must be agreed to, by any form of written communication, prior to inception of any transaction. By checking "I Accept" you agree to the User Agreement listed above.